By the end of this month, Superstar Rajinikanth will take a small break from the sets of ‘Kabali’ and will go to the United States, where he will start the pre-production works for Shankar-directed ‘Enthiran 2′. 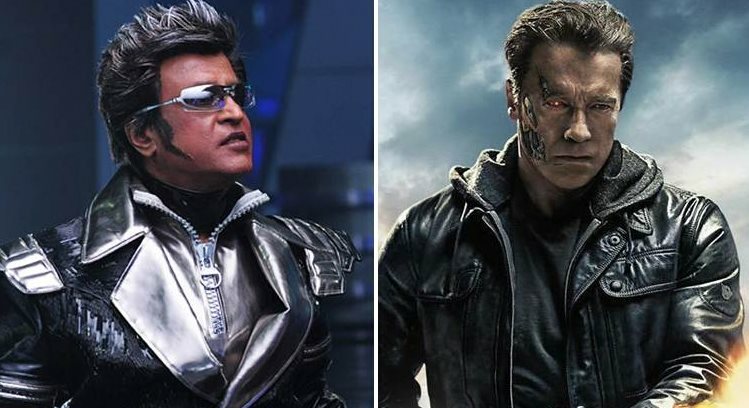 “During his visit, Rajini will meet Arnold, who will play a key role in ‘Enthiran 2′, and also other technicians involved in the project. He will keep himself busy with make-up and other tests,” sources said. “From there, Rajini will fly back to Malaysia to rejoin the sets of ‘Kabali’. He will return to Chennai only in December. He has also planned to celebrate Deepavali with ‘Kabali’ team in Malaysia,” added sources. Meanwhile, sources have it that the Malaysian government has decided to increase the security cover being provided to Rajini. “Since large number of people gather wherever Rajini goes, the decision has been taken,” added sources.